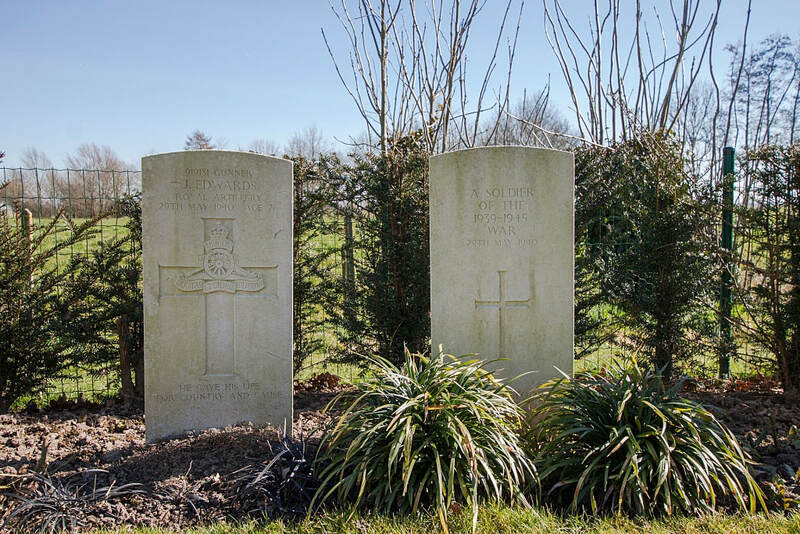 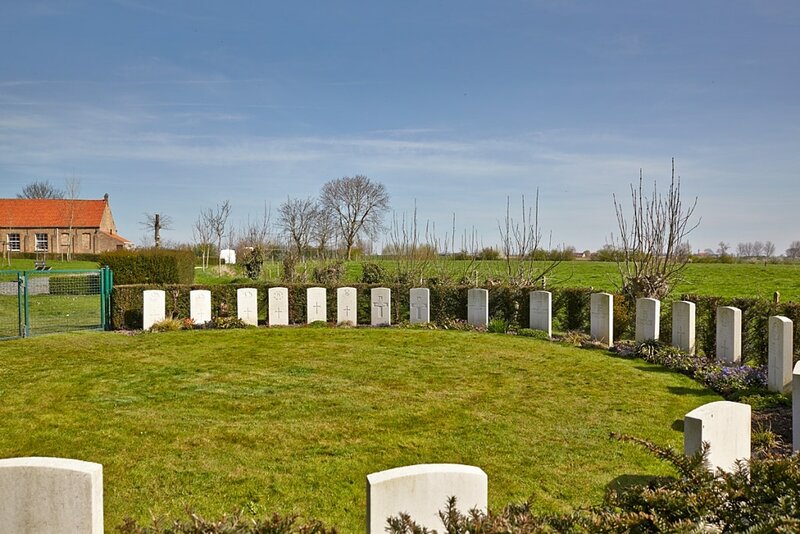 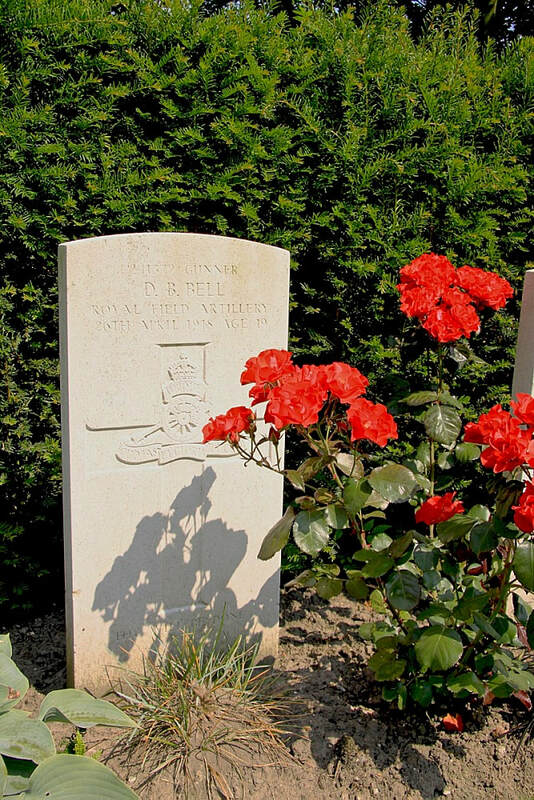 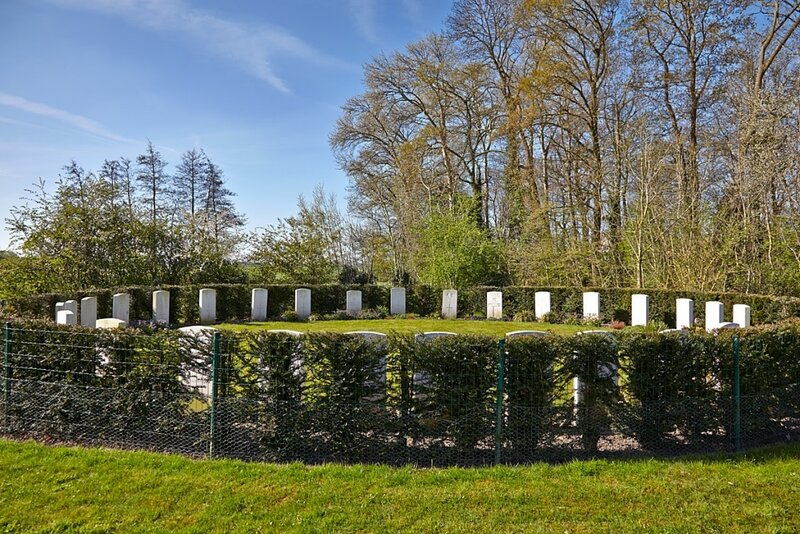 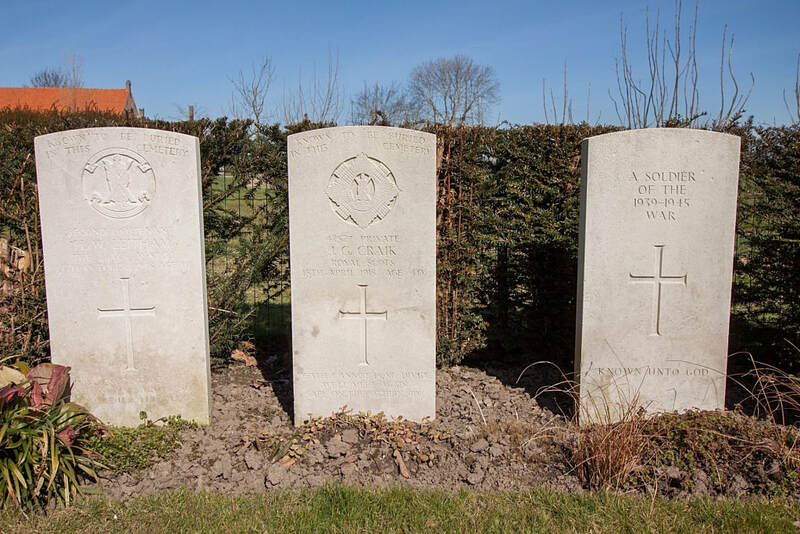 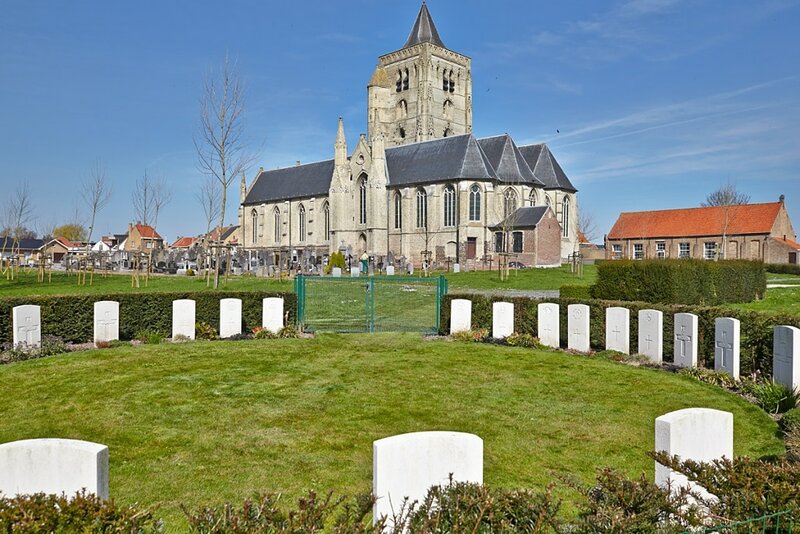 Beveren-Ijzer churchyard is located 25 Km north-west of Ieper town centre on the N364, a road leading from the N308 connecting Ieper to Poperinge and on to Roesbrugge. 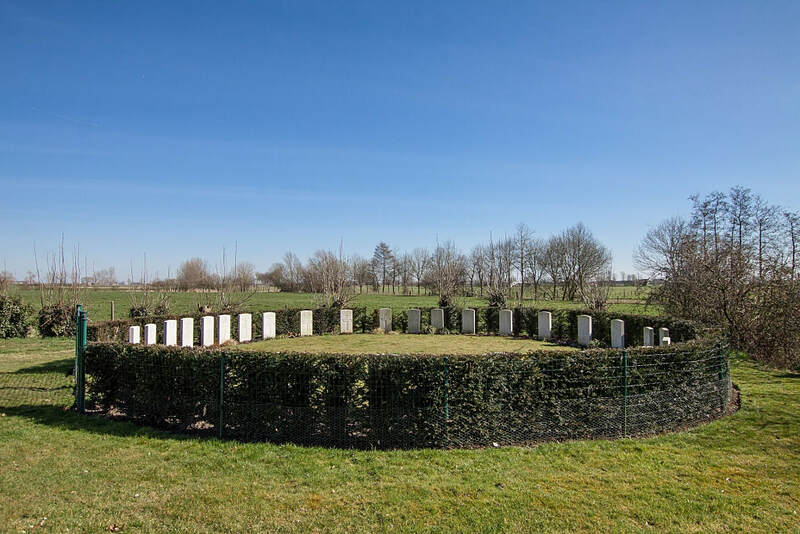 From Ieper town centre the Poperingseweg (N308), is reached via Elverdingsestraat then directly over two small roundabouts in the J. Capronstraat. 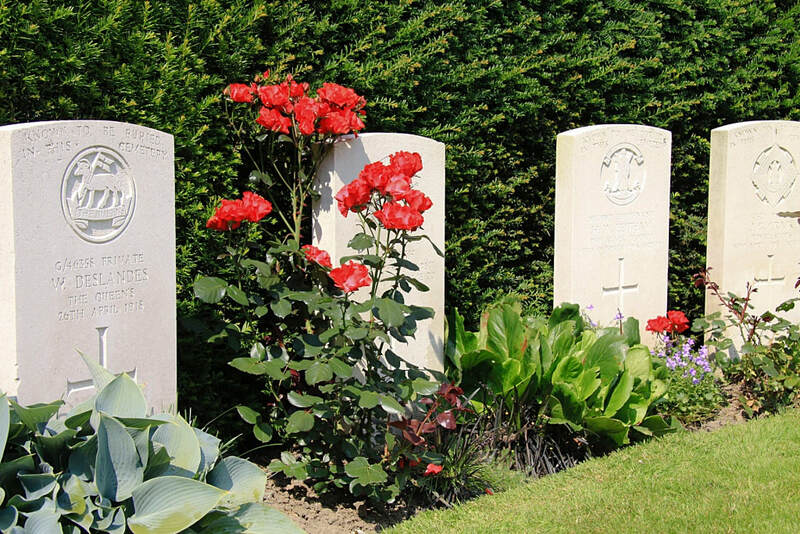 The Poperingseweg is a continuation of the J. Capronstraat and begins after a prominent railway level crossing. 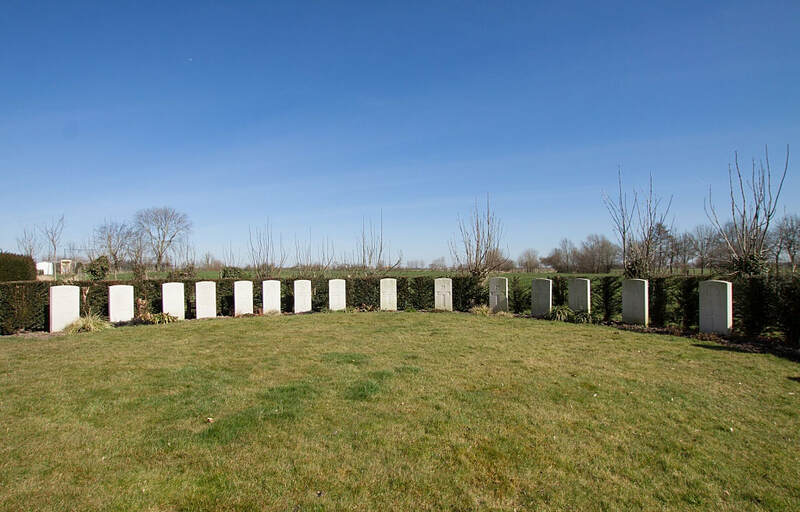 On reaching the ring road of Poperinge (R33) Europalaan, the left hand clockwise route circles the town of Poperinge and rejoins the N308 towards Oost-Cappel. 13 km after rejoining the N308 lies the village of Roesbrugge. 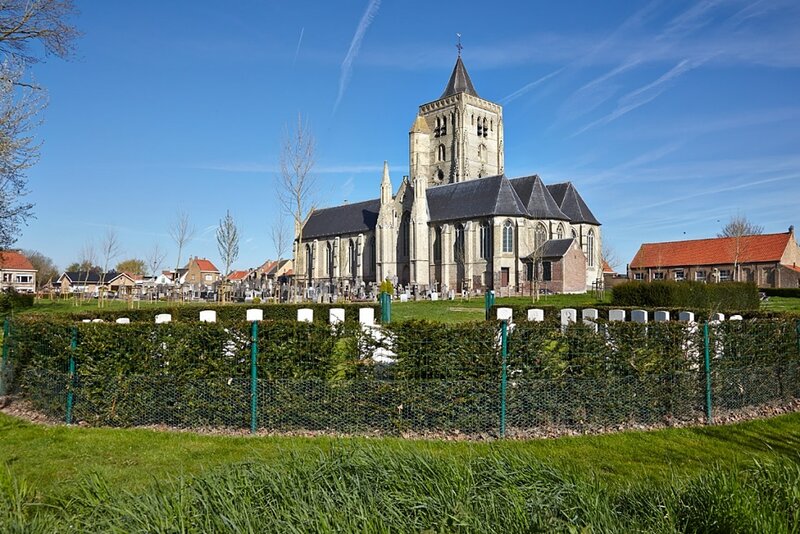 Shortly after leaving the village of Roesbrugge lies the right hand turning onto the N364 Roesbruggestraat. 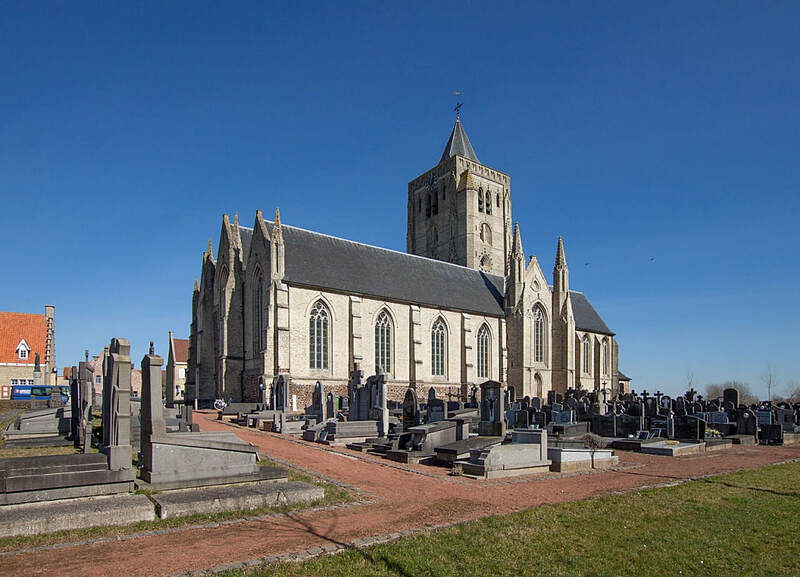 3.5 km along the N364 lies the village of Beveren-Ijzer. 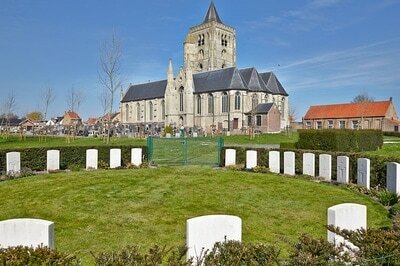 The cemetery is located next to the church on the Sint Brigida-plein. 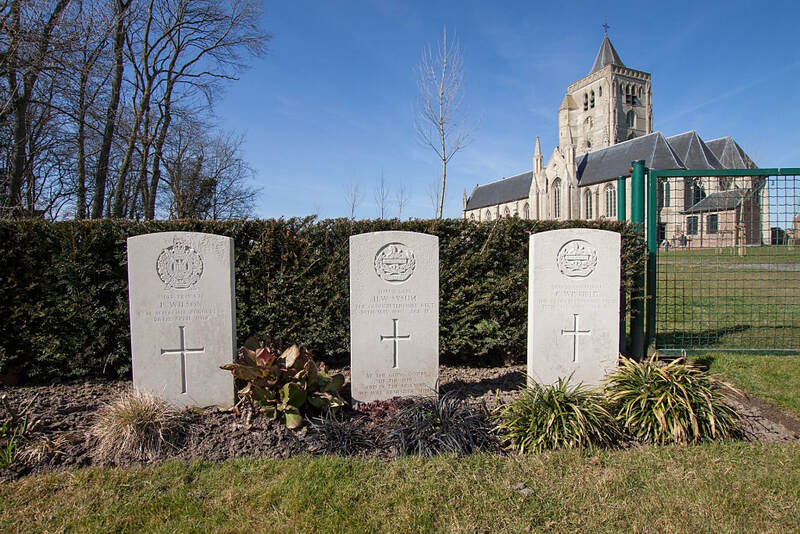 Beveren-Ijzer Churchyard contains the graves of 20 Commonwealth servicemen of the First World War and eight Second World War burials (two of them unidentified). 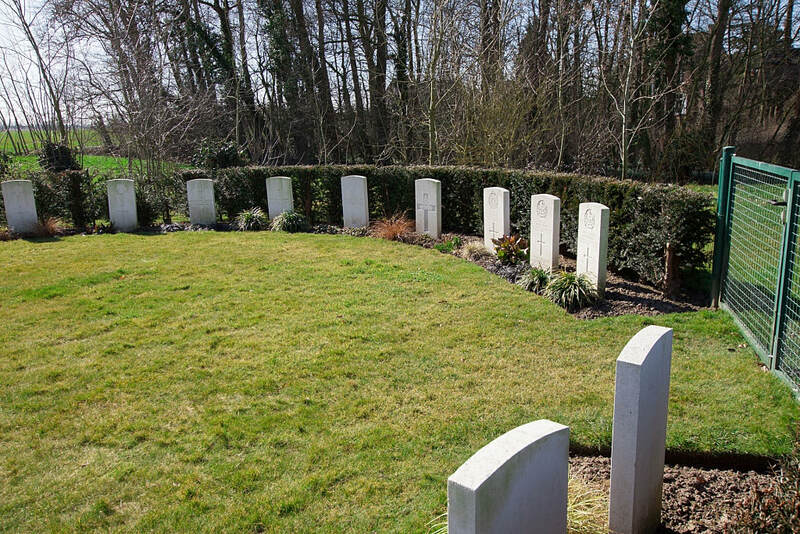 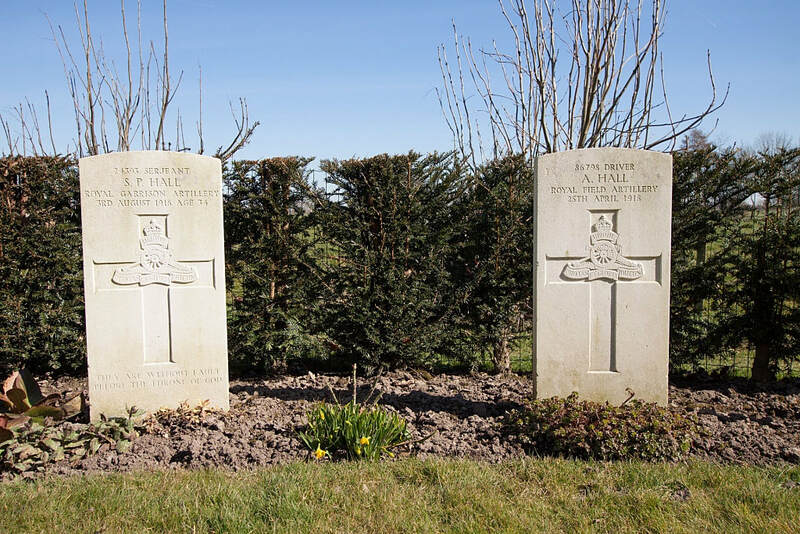 All the Second War burials date from May 1940 and the withdrawal to Dunkirk ahead of the German advance. There are also 8 WW2 burials including 2 unidentified.